In five short years, Revolution Brewing has gone from a Logan Square brewpub to one of Chicago's largest craft beer breweries. It's almost impossible to walk into a Chicago bar without seeing the iconic fist tap handle. Each colored differently so you know exactly what's on tap. With a huge portfolio of beers like Anti-Hero, Fist City or Rosa, there's something for every type of beer drinker. Combine the quality of their beer with two great drinking venues and you can see why they're growing like crazy. For our October BOTM, we wanted to stay local so we're happy to bring you Revolution's Oktoberfest. Check out the specs below. 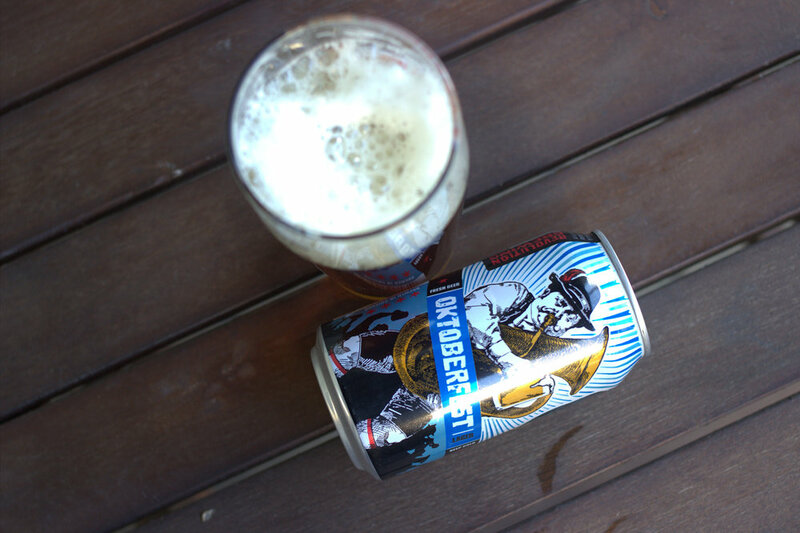 You can pick up Revolution Brewing Oktoberfest at Bottles & Cans (4109 N. Lincoln Ave.) in Northcenter. If ya get to Bottles & Cans, ask for other recommendations from owners Joe and Carly or any of the other knowledgeable staff on hand. And tell 'em we say hey! Nothing screams Fall more than a pint of Oktoberfest beer. With the change of seasons we also get a change in our beer styles. As the weather gets colder, our beers tend to get darker and more robust. Revolution Brewing's Oktoberfest transitions us away from light and hoppy summer beers to more bready and roasty flavor profiles. Out of a can this one pours a crystal clear amber with a top of frothy foam. On the nose you get hints of bready caramel malts with some slightly yeasty notes. To me it's pretty close to what a brewery smells like right when you walk in. A slight earthy-hop flavor makes itself present as you drink this one down, but the majority of flavor is reminiscent of fresh bread and caramel. It's surprisingly velvety and smooth as it goes down. 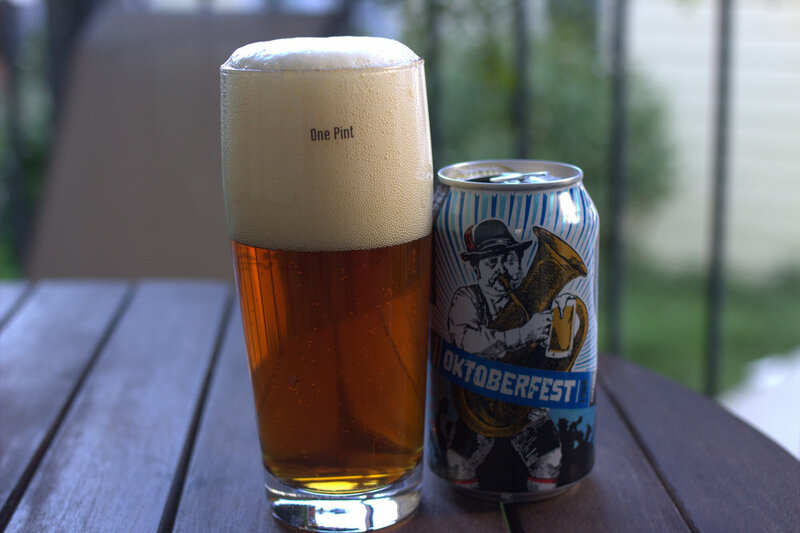 This is hands down one of the best Oktoberfest beers you can get your hands on in Chicago. Go out and grab a 6-pack while you still can!